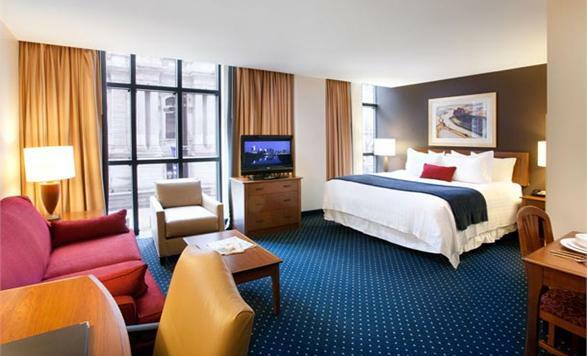 The Residence Inn Philadelphia Center City is an all-suite hotel ideal for relocations, temporary housing or corporate housing. Our Center City hotel is just steps away from Historic City Hall, Reading Terminal Market, the Pennsylvania Convention Center, Kimmel Center for the Performing Arts, world-class restaurants and shopping. Enjoy a sense of community at our daily complimentary hot breakfast buffet and complimentary evening social events Monday-Wednesday. The Residence Inn features apartment-like suites with living, working and dining areas and complimentary high-speed Internet.